As per Wikipedia, "Old school hip hop (also spelled "old skool") describes the earliest commercially recorded hip hop music (approximately from 1979–1984), and the music in the period preceding it from which it was directly descended. 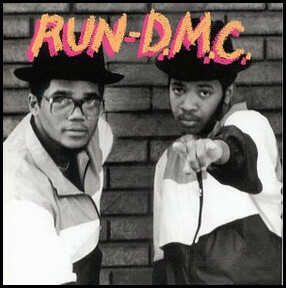 Old school hip hop is said to end around 1983 or 1984 with the emergence of Run–D.M.C., the first new school hip hop group. However, some old school rap stations cover 1980s hip hop in general, occasionally extending even into the mid 1990s. 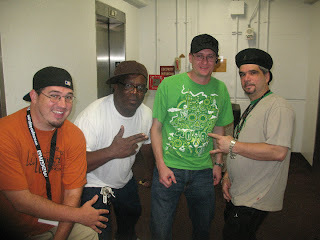 The image, styles and sounds of the old school were exemplified by figures like Afrika Bambaataa, The Sugarhill Gang, Spoonie Gee, Treacherous Three, Funky Four Plus One, Kurtis Blow, Fab Five Freddy, Busy Bee Starski, Lovebug Starski, Doug E. Fresh, LL Cool J, The Fat Boys, The Cold Crush Brothers, Kool Kyle, and Grandmaster Flash and the Furious Five,and it is characterized by the simpler rapping techniques of the time and the general focus on party related subject matter." Below we list some of our favorite "old skool" party jams (defined as 80s hip hop), but paying particular homage to the early 80s. Please leave comments with our own favorite selections! It's Like That - Run-D.M.C. Jam Master Jay - Run-D.M.C. Iron Mike and I catch up with the Cold Crush Crew! 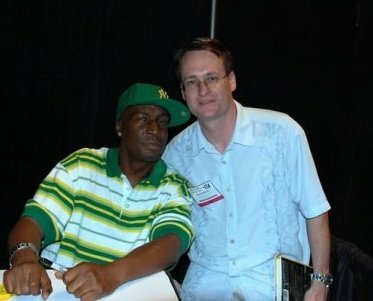 Catching up with the legendary Grandmaster Flash! wow what a great list! this is definitely a must have for any serious music aficionado let alone an 80s lover. Wow, where do I start..GrandMaster Flash, The Fat Boys, Kurtis Blow, LL Cool J, Run DMC, The Sugar Hill Gang..amazing stuff! thanks so much for the heads up and the great blog! Thanks for the feedback 80sMusicGirl! It definitely was a memorable musical era, and the ultimate testament is that we as DJs and music lovers are still playing these jams 30 years later! No need to explain Blondie... "Rapture" is a rap record through and through. In fact, while Rapper's Delight was exploding, it still wasn't touching all of the country, so in some parts of the US, this was the first song with a "rap" that people were being exposed to. What is Video Fusion Karaoke?